AnimeSecrets.org | Sword Art Online II is set for Worldwide Simulcast and More! Aniplex also launches “Sword Art Online Awards” for fans Worldwide! SANTA MONICA, CA (April 19, 2014) –Today at Aniplex of America ‘s Sword Art Online Panel with special appearances by Director Tomohiko Ito , Character Designer Shingo Adachi and Producer Shinichiro Kashiwada at Sakura-Con in Seattle, Aniplex has confirmed that the highly anticipated anime series Sword Art Online II will see a worldwide simulcast . 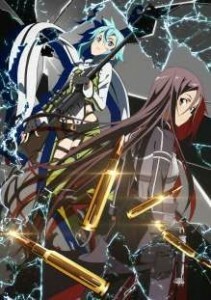 Sword Art Online II is scheduled to begin airing in Japan on July of this year. Aniplex has also confirmed plans of hosting Sword Art Online II Premiere Screening Events to be held in the U.S., France, Germany, Hong Kong, Taiwan, Korea and Japan. Details regarding streaming schedules and platforms as well as Premiere Screening Event info will be announced at a later date. Aniplex of America Inc. (SantaMonica, California) is a subsidiary of Aniplex Inc. (headquartered in Tokyo, Japan), a group of Sony Music Entertainment (Japan) Inc. and a leading provider of anime content and music production and distribution in Japan. Aniplex ofAmerica has launched fan-favorite Blu-ray and DVD releases such as Bakemonogatari, Durarara! !, Puella Magi Madoka Magica, the Garden of Sinners, SwordArtOnline, Blue Exorcist, Fate/Zero, Blast of Tempest, Magi: The Labyrinth of Magic, Oreshura, and Vividred Operation. The company’s ever-growing line-up of shows includes our most recent titles KILL la KILL, MEKAKUCITY ACTORS, The irregular at magic high school, Mushi-Shi (The Sequel), Nanana’s Buried Treasure, Nisekoi, World Conquest Zvezda Plot, Magi: TheKingdom of Magic, Samurai Flamenco, Silver Spoon, and Oreimo 2.